Is Georgia Experiencing Some Bankruptcy Relief? Although some studies show that the number of foreclosures in the Atlanta area has significanly increased, the number of bankruptcy filings has recently fell. The follow article, which we found on ajc.com, states that the number of bankruptcies fell in June and July compared to the same time last year. This isn’t all good news though, as some experts say that many people have resorted to tapping into their retirement funds and walking away from the their homes. For a while now, Georgia has persistently counted itself as one of the nation’s leaders in a dubious category — several of its counties are among those with the highest personal bankruptcy rates. At times, Georgia counties accounted for as many as seven or eight of those on a national Top 10 list of counties with the highest rates of personal bankruptcies per household, giving it a No. 2 ranking, behind Nevada, according to a monthly study of bankruptcy filings by individuals and families. However, there are a few signs that the state could be loosening its grip on this particular misery index. In August, only four metro Atlanta counties — Newton, Henry, Douglas and Rockdale — made the Top 10 list, according to the National Bankruptcy Research Center. The rankings are based on an analysis of the research center’s data by Columbia Law School professor Ronald Mann. Likewise, the number of personal bankruptcy cases filed in the U.S. Bankruptcy Court’s north Georgia district, which includes Atlanta, fell in June and July compared to the same time a year earlier. Other than bankruptcies, the state also has led the nation in bank failures. Some metro Atlanta counties have had some of the nation’s highest rates of home foreclosures, as well. Tying the trends together is the downdraft that followed when metro Atlanta’s real estate market crashed about three years ago. The monthly declines in personal bankruptcy were small: down less than 1 percent in July and almost 6 percent in June compared to a year ago. But they stand in contrast to double-digit increases in earlier months this year and point to a possible reversal from rapidly rising bankruptcy filings for the past four years. Such trends were reflected nationally as well. 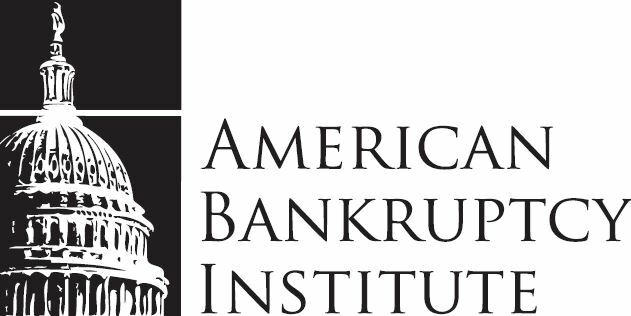 The research center said bankruptcy filings in the U.S. fell 7 percent in August after taking account of seasonal variation, to 128,035 new cases. Year-to-date filings, though, were still 12 percent higher than the same period a year ago because of heavy traffic in the first half of the year. Bankruptcy experts say it’s unclear whether the recent declines are just a blip. It’s also unclear whether bankruptcy filings could be falling for reasons that might portend a turnaround in folks’ financial prospects, or because they’re running out of options. Once fast-growing cities and regions with highly transient populations, such as Atlanta and the Southeast, tend to have consistently higher personal bankruptcy rates anyway, say experts. Georgia’s banking laws that allow foreclosures in as little as 37 days also encourage more people to file bankruptcy to stall foreclosures, say some. But local bankruptcy filings hit a record high last year, said Williams, as the unemployment rate soared and the real estate crash fueled a glut of foreclosures that added to the traditionally high rate of bankruptcies in the state. Some of those problems have since abated slightly. But others have reversed recent improvements, muddying the picture for future bankruptcy trends. Metro Atlanta’s jobless rate dropped to 10.2 percent in July from 10.3 percent in June, but remains well above the national rate, which was 9.6 percent in August. It’s also unclear whether struggling families are getting relief on the home front. Local mortgage delinquency rates, while still above the national average, have declined slightly for the third quarter in a row. But foreclosure notices jumped sharply in metro Atlanta in August after declining in July, according to Equity Depot. Seasonally adjusted home sale prices in metro Atlanta have been rising for three months, according to the S&P Case-Shiller Index, but the National Association of Realtors said metro-Atlanta home sales volumes and prices fell by double-digit percentages in July. “Any time bankruptcy filings go down, you should be happy,” said law professor Todd Zywicki, at George Mason University in Arlington, Va. The cautiously optimistic interpretation, he said, would be that fewer people are headed to bankruptcy court because unemployment has dropped slightly, and they’ve been able to take advantage of lower interest rates to reduce expenses. Also, the number of new cases may be dropping because many of the people who took out subprime mortgages and other problematic loans “have washed through the system by now,” he said. “I’m not willing to put my money on that,” he added. A darker scenario for the decline in bankruptcies, said Zywicki, is that more people who are underwater on their mortgages are opting to walk away from homes with plunging market values. Thus, they don’t try to stall foreclosure with a bankruptcy filing. Alternately, people “can find themselves so much in desperate financial straits that they can’t afford a [bankruptcy] filing,” said Williams. He said retail sales later this year will be a good indicator of how many personal bankruptcies will be hitting the courts in coming months. The retail industry “provides so many jobs for people who are financially on the cusp,” said Williams. The Adkins Firm doesn’t want you to act out of desperation, we want you to act on common sense. We can help you decide whether filing for bankruptcy is right for your particular situation. We are the Atlanta area bankruptcy firm that can get you back on your feet, living the life you deserve to live!